The UN World Tourism Organization (UNWTO) International Network of Sustainable Tourism Observatories (INSTO) Sonoma County Tourism Observatory participated in a stakeholder’s meeting on Friday in conjunction with the 13th Annual Sustainable Enterprise Conference, once again held in partnership with Sonoma State’s School of Business and Economics and SOMO Living’s solar-powered Platinum-level LEED conference center. 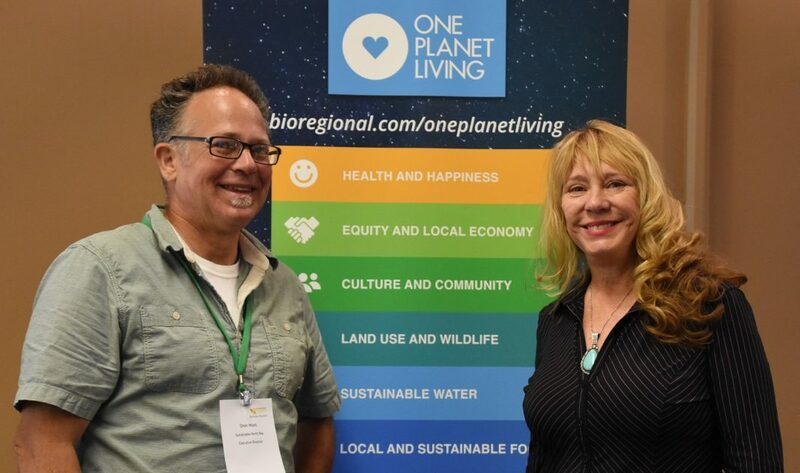 Oren Wool, executive director of Sustainable North Bay, hosted the conference. SOMO is an internationally-recognized, award winning, mixed-use, solar-powered, zero-waste 200-acre redevelopment in southern Sonoma County. Tourism stakeholders in attendance had many opportunities to learn and provide their feedback to the Observatory team during such presentations as, “Sustainability in the Trenches: Measuring Performance, Value, and Return on Investment,” moderated by Professor John Stayton. Experienced sustainability experts from ecological-minded enterprises – Jackson Family Wines, Traditional Medicinals, and Straus Family Creamery – related stories of past implementations and future plans and how they developed measures of the success (or not) of company sustainability initiatives. The panel “Agritourism Benefits for Farms & Ranches” focused on some of the core issues that the Observatory is monitoring. Sonoma County residents had the opportunity to provide feedback in the form of a survey on the impacts of tourism on the environment and their lives. Dr. Robert Girling, a founder of the Sustainable Enterprise Conference, brought it all together with his infectious warmth and deep understanding of the benefits and effects of tourism. INSTO is a network of 22 tourism observatories worldwide which seeks to connect destinations and are committed to regular monitoring of economic, environmental, and social impacts of tourism and is especially committed to the UN’s 17 Sustainable Development Goals.